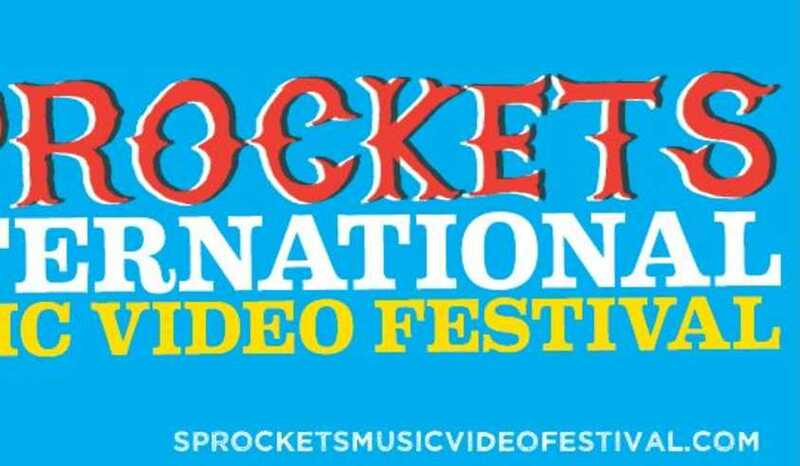 The 9th annual Sprockets International Music Video Festival presented by Film Athens will be held Friday-Saturday, July 18th and 19th. Started in 2004, Sprockets International Music Video Festival is the longest running film festival exclusively for music videos in the world and and is held right here in Athens, Ga. - a city well known for its music and arts scene including other summer music festivals, AthFest and the Sunflower Music Series. This is a unique experience for filmmakers and music video professionals, but also an incredible experience for visitors and residents of Athens who get to take part in the festival by casting their votes and witnessing some extraordinary talent. "recognizes emerging and established filmmakers, gives filmmakers and music video industry professionals the rare opportunity to share their work in front of a live audience and highlights an art form which is rarely seen on the &apos;big screen&apos; and is often overlooked on the traditional festival circuit." The Sprockets festival hosts two music video screenings: The Georgia Music Video Show and Sprockets International Music Video Show, which are perfect to attend and enjoy with your friends and family during the weekend evenings. There are five talented judges this year: Louis Calabro, Director of Awards/Special Events at the Academy of Canadian Cinema and Founder/Director of the Prism Prize; Caroline Bottomley, Founder/Managing Director of Radar Music Videos; Vince Mancini, Writer/Comedian/TV presenter and founding Editor of FilmDrunk.com; David Barbe, Musician/Producer/Engineer and Director of UGA Music Business Program; and Alyssa DeHayes, Publicist at Team Clermont Music PR and Columnist/Blogger as well as owner of Arrowhawk Records. Three Awards are given out at the festival, and the general audience has the role of choosing the winners for two of these awards! The Best Music Video Award is chosen by the judges. The Audience Choice Award is chosen by the audience via ballot the night of the Sprockets International show. The Best Georgia Video is chosen by the audience via ballot the night of the Georgia Music Video Show. All winners will receive trophies by Athens sculptor Mike Harbold and the Best Music Video winner will also receive the grand prize of a 6-month Director Premium Account on Radar! This two-day festival is spread across three different venues: 40 Watt Club, Flicker Theatre & Bar and Ciné Theatre. All of these venues are close to each other in Downtown Athens which makes it perfect for enjoying all of vibrant Downtown Athens this weekend. Start the festival weekend off right with dinner in Downtown Athens at one of our local restaurants nearby including Trappeze Pub, Clocked, Ted&apos;s Most Best, The National and Last Resort Grill. Rejuvenate Saturday morning with a hearty breakfast at Mama&apos;s Boy, Big City Bread, or Ike & Jane - all just a short drive away. Between screenings, walk around Downtown into the eclectic vintage shops, outdoor specialist shops, comic book and record stores, and classy boutiques. Enjoy a cocktail at Highwire or try a new brew at Trappeze Pub, The Globe or Blue Sky. Before The Georgia Music Video Show or between events on Saturday, head to Terrapin for a tour and tasting from 5:30 - 7:30 p.m. Enjoy the weekend listening to music, watching great videos, drinking refreshing beverages, and eating some good food! Can the summer sound any better than this?